The core program at Bahay Kubo Center is LFP. In order to learn about our rich Philippine culture, students are taught the basic customs and traditions of the Philippines through language and arts. 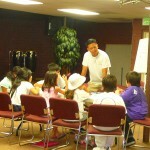 Although BKC does not teach a full language course, conversational Filipino is taught and practiced throughout the session. 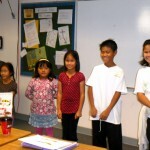 Students are also introduced to the history of the Philippines, as well as its geography. The alphabet and number system are also practiced throughout the session, and the money system is taught by incorporating an incentive program for students to participate in classroom activities and assignments. At the end of the term, each student is able to shop with their earned Philippine money at the marketplace of native souvenirs and snacks that is set up on the last day of class. The classroom at BKC is a fun, casual and family environment that includes group activities, games, projects, arts & crafts, and quizzes. With so much information to cover in 11 to 14 weeks this Fall 2013, which also includes “Ating Sayaw”, folk dance, we strongly encourage that students plan to attend all scheduled classes in order to completely benefit from the program. It is also recommended that they continue on to future sessions, because furthering students’ learning experiences through additional LFP sessions will only help to enhance their cultural learning by exposing them to other Filipino classmates, parents and friends on a regular basis. Everyone has a story to share, and BKC brings all those stories together in what tends to become an extended family. 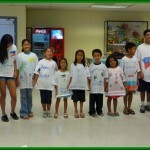 When time permits, BKC occasionally adds fun workshops as we partner with other Fil-Am organizations to bring the Filipino community together through events like Palarong Pinoy (traditional Filipino games), the Parol-Making Workshop and other community outreach activities. This Fall we are excited to introduce our new pilot program for teens. This program is designed for continuing Advanced LFP students, and will take place in and outside of the classroom environment. The Youth Program curriculum includes field trips and other activities that will help teens learn about their culture in a more age-appropriate format. Advanced Beginner LFP Students whom are not quite teen age yet, will be acting as mentors to the younger Beginner students, and will be preparing to advance to the Youth Program one day. Our goal is to provide a fun learning experience to each student while they acquire some leadership skills along the way. This should be an enjoyable, character-building program, and we are excited to launch it this Fall! Learning about Philippine culture is not complete without folk dance lessons which are incorporated in LFP, and is planned for the last hour of LFP class. 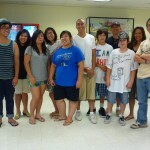 Cal State University Northridge F.A.S.A. 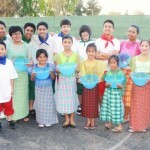 (Filipino American Students Association) members will teach the students various folk dances in preparation for future performances at shows and fundraising events. Learning traditional dances of the Philippines is an important part of their cultural enrichment, because each dance tells a story and teaches a bit of history behind each dance. The unique costumes also depict the different regions from which each dance originated. Parents and grandparents look forward to watching their children perform the folk dances they once had to perform in their youth. Halina tayo sa ating Bahay Kubo Center! Pre-register now by printing and completing this REGISTRATION-FORM-2013, and bringing it to your first day of attendance.